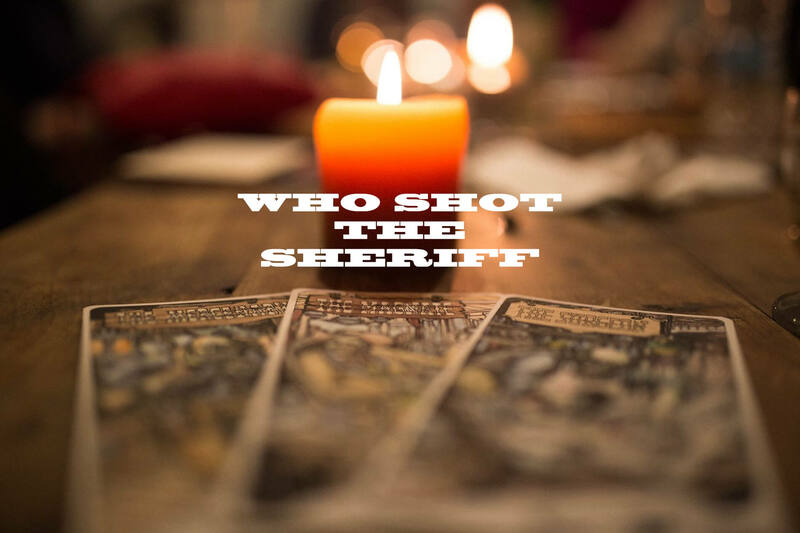 Who Shot The Sheriff is a social deduction role-playing game in the veins of Mafia and Werewolf set in a small old west town in the 19th century. Each player is secretly playing with a different character who has a certain alliegence (good, bad, neutral), time of activity (day, night) and an unique skill (The Surgeon cures from death, The Barkeeper neutralize a skill with a drink, The Mercenary kills during night, etc.). The game is turn-based and require a game master (The Reverend) who oversees and leads the game. Unlike other Mafia clones, this game offer an intense and diverse gameplay where each character has a special ability (no regular villagers) and the third neutral faction introduces a totally new tactical strategy for each player. 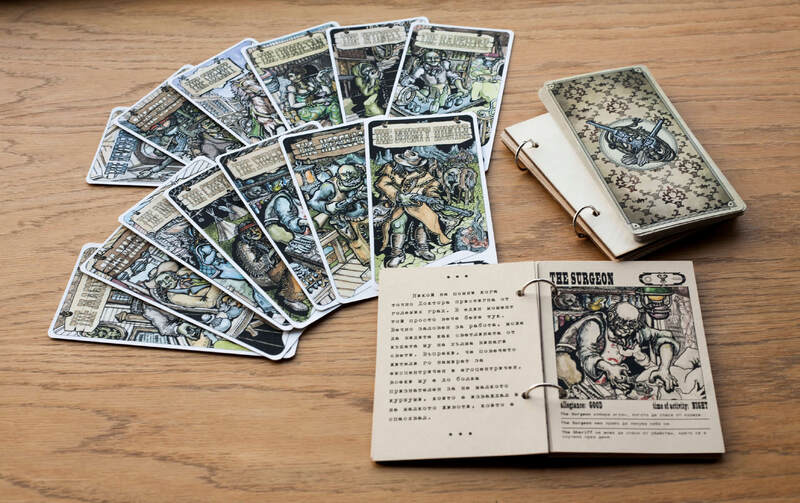 The game features 13 unique playable characters handdrawn in an old western style by Peter Bakardzhiev. 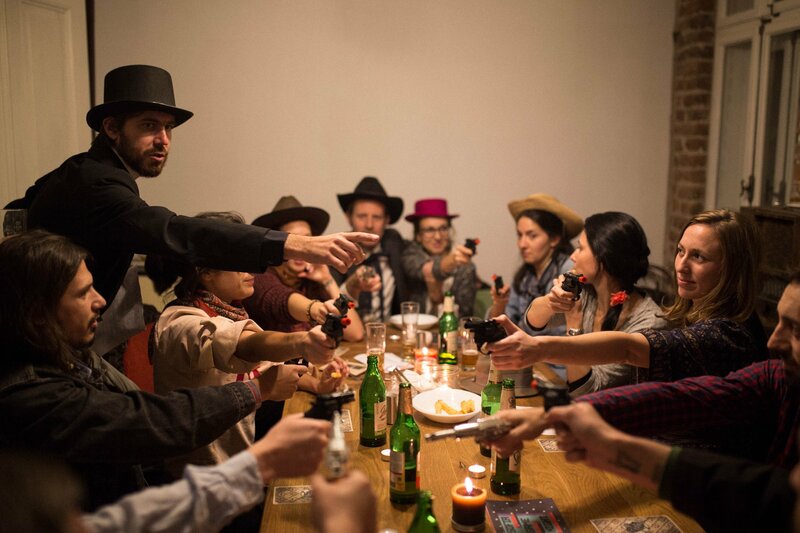 We're organizing open live-action playthroughs of the game where we try to recreate the western atmosphere with costumes, props, lighting, acting and music. 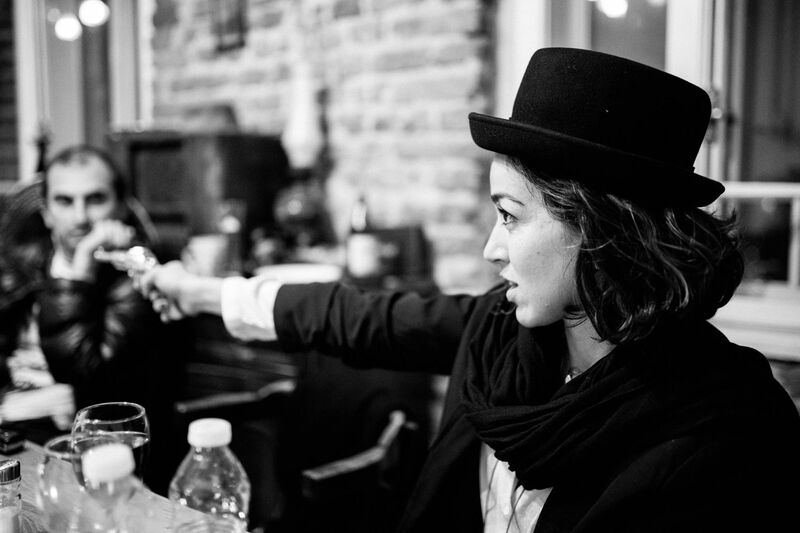 Oh, and there are pistols in the set.